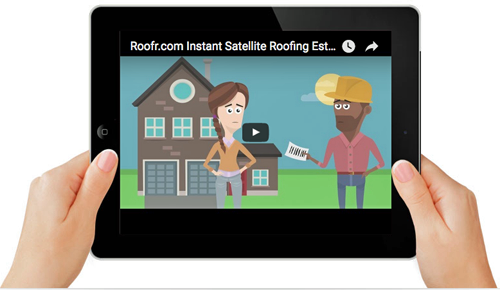 Lulu Chang posted an article at the Digital Trends online infosite that deals with how a company is going to use satellite imagery to prevent roofing headaches. As Lulu writes, the roofing industry may not be the most exciting in the world, but to say that it’s anything less than absolutely vital would be a bit foolish. After all, what good is a home without its lid? Now, there’s a new company on the horizon that wants to inject a healthy dose of technology into this venerable industry and help you protect your home (and yourself) from any roofing headaches. Meet Roofr, a startup that uses satellite imagery software to analyze your roof and determine whether or not you need to hire a roofer to make some repairs and adjustments. However, Roofr believes it can help. Promising to simplify the entire process of roofing, the Toronto-based startup states that a roofing estimate requires only 26 seconds to complete... simply enter the address requiring roofing work on the company's website and obtain a free quote. How does this happen? It’s all based on satellite images (sourced from a Google API that pulls from Google Earth) that are used to calculate both the square footage and slope of your roof. This will permit a nearly instantaneous free estimate.